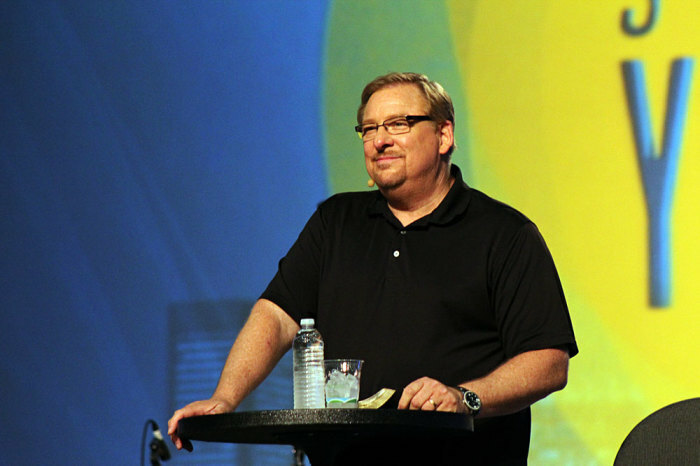 Christians should place their trust in God to guide them through all of life's most difficult decisions, says megachurch pastor and best-selling author Rick Warren. In a devotional published Wednesday, the head of Saddleback Church in Orange County, California, shared a verse from Psalm 23, commonly known as the "Shepherd's Psalm." "He guides me along the right paths for his name's sake," reads verse 3b of the notable Bible chapter, as rendered by the New International Version. Warren wrote that this verse shows "God wants to guide us" and that people can "handle the stress of decision-making by letting God guide us." "God does not want you [to be] confused, and he does not want you stressed over making any decision. He is there, guiding you every step of the way," said Warren. "Is God playing games with us? Of course not! God wants to guide us. He wants us to know His will more than we want to know it. Our problem is we often look for the wrong thing when we're trying to find God's will." Warren also said that "God's will is not a feeling or a formula or something He wants you to be frustrated or fearful about." "For example, some of us look for a feeling. We want to be swept off our feet by some emotion so we can say, 'That's how I know what God's will is!' Some of us want a methodical approach to God's will," added Warren. "We want somebody to give us a recipe or a formula to apply. Some of us take a magical approach to God's will. We're looking for God to do some fantastic sign — write it in the sky, call us on the phone, send us an email." The issue decision-making bare resemblance to comments Warren made on Tuesday about transformation and how people can change their lives by thinking differently about themselves and their life. Warren said, "God is far more interested in changing your mind than changing your circumstances." "We want God to take away all of the problems, pain, sorrow, suffering, sickness, and sadness. But God wants to work on you first, because transformation won't happen in your life until you renew your mind, until your thoughts begin to change," said Warren. "When you don't try to control your mind and the way you direct your thoughts, you will have an enormous amount of stress in your life. But a managed mind leads to strength and security and serenity."